Oklahoma British Car Breakfast Club – To promote camaraderie among all British car enthusiasts regardless of make. 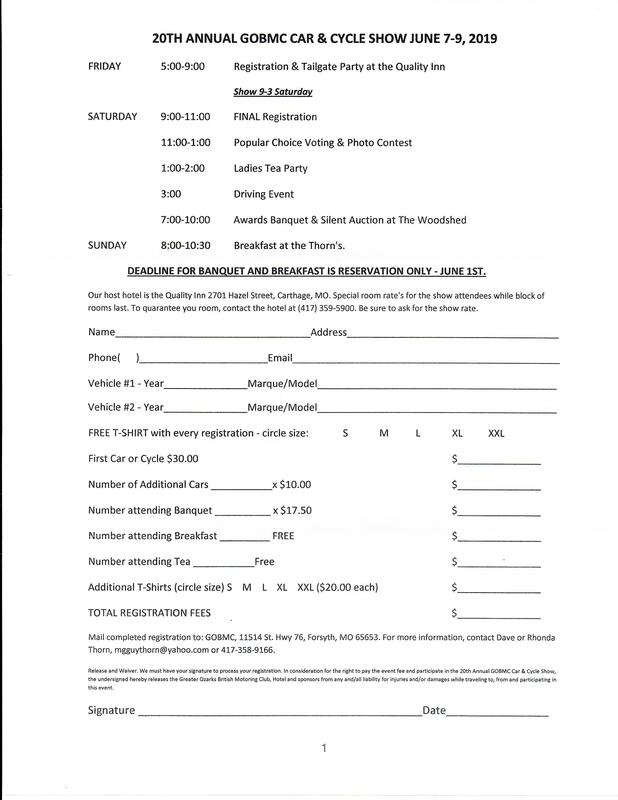 The 2019 Greater Ozarks British Motoring Club’s annual Car & Cycle Show will be June 7 through June 9, 2019 in Carthage, MO. 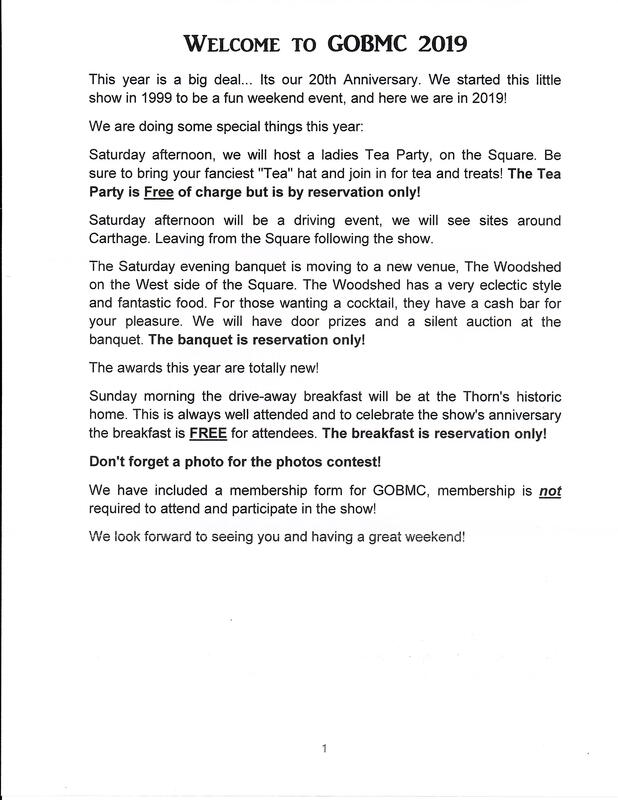 The March Meeting will be Saturday, March 16, 2019 at 8:30AM at Kamp’s 1910 Cafe. If anyone is interested, the 2019 All British & European Car Day is set for May 5, 2019 at White Rock Lake Park in Dallas. I know some of our members have gone in the past and enjoyed the event. For those making the trip from OKC to Colorado Springs for Silver Summit, schedule and hotel information is below. May 14, 2019 PM – Stay at Best Western in Clayton, NM. May 15, 2019 AM – Depart Clayton to Colorado Springs. May 15, 2019 PM – Stay at La Quinta Inn Colorado Springs South (or you can stay at event hotel. Hotels are across the parking lot from one another). May 16, 2019 – Stay at Hampton Inn & Suites Colorado Springs (event hotel). May 19, 2019 PM – Depart event, drive to Trinidad, CO, stay at La Quinta Inn Trinidad. May 20, 2019 AM – Depart Trinidad, CO to OKC. May 20, 2019 PM – Arrive in OKC. 2019 Hagerty Silver Summit Registration is OPEN! 2019 Hagerty Silver Summit Event Info and Registration.